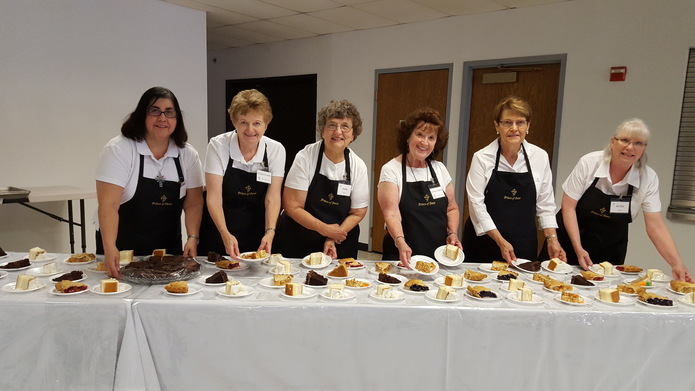 The Funeral Lunch Ministry provides a meal for the families of a deceased member of the Parish on the day of the funeral. Parishioners are contacted by email or phone and asked to bring side dishes and desserts for this meal. Volunteers are especially needed to assist with set up and clean up for these meals and to act as ambassadors during the meal. If you are interested in being included on the volunteer list, please contact the Parish Office at 913.782.8864 or you may email Linda Murray, Parish Secretary, at lmurray@popolathe.org or Christine O'Grady, Parish Life Coordinator, at cogrady@popolathe.org.